The northwestern Latvian port city of Ventspils has been named Latvia’s investment-friendliest city, with Valmiera in northern Latvia taking second place and the southwestern port city Liepaja placing third, according to the index of invest-friendliest local governments released by the Business Union of Latvia, informs LETA. Marupe has been ranked in the index as the investment-friendliest region, followed by Olaine and Jelgava as the second and third investment-friendliest regions respectively. Aizkraukle has topped the list of investment-friendliest regions with regional development centers, leaving Dobele region in second and Kuldiga region in third place. 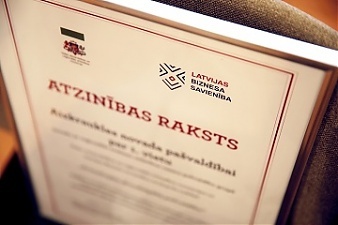 The Business Union of Latvia has drawn up the index based on local governments’ self-assessment, activity in creating business support infrastructure and the performance results of the companies operating in the given territories.